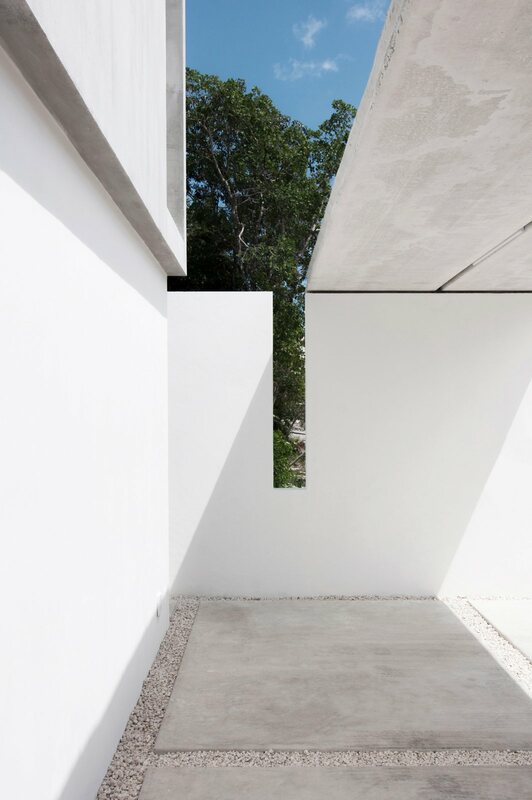 Carport with cuts in the roof and wall that let in sunlight and provides a view of the sky and surrounding area. Project Casa Garcias in Cancún, Mexico, designed by Warm Architects. Photographed by Wacho Espinosa Photography.